At SaneBox, we’re constantly inspired by our customers to create a better product. Today, we thought we would apply some practical advice from outside our circle to create a better experience. 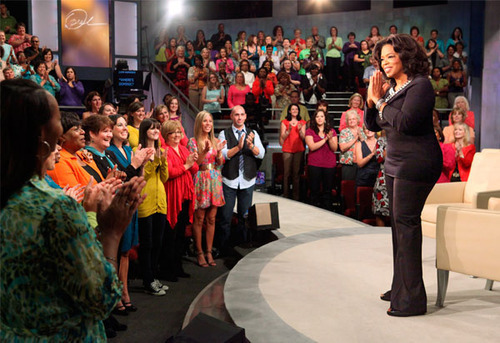 We imagined what Oprah would have to say about how managing your email can affect your life. Just imagine cleaning a dirty house. You can either take on the task yourself or sign up for a cleaning service. You will feel great, and you should! Just don’t think that you’re done. Each week, you will need to roll up your sleeves or set up an ongoing service to maintain the house. If you give up or don’t even start at all, you will continue living in a dirty house. The same applies to your email. 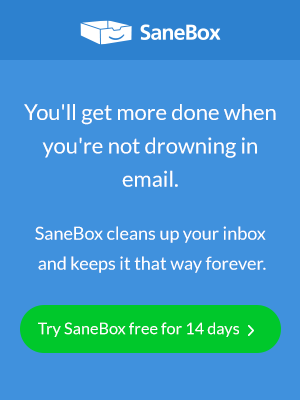 If you have too many emails, you need to either take it upon yourself to clean it or use a service to help. Getting flustered and thinking that it’s an impossible task is not only untrue but leaves you in the same situation over and over. If you receive emails from work at midnight or on weekends, you need to ask yourself how long you’re willing to continue like this. Just like you have a different email address for work and personal, you need to set boundaries between your work and personal hours. Progressive companies are adopting policies to limit emails after hours, which result in happier employees with the same amount of work done. It is possible! If this sounds like an “ah-ha moment,” start the conversation at work. Unless you ask for it, it’s never going to change. We’re all guilty of subscribing to too many emails. Sometimes it’s for work, sometimes for discounts. Sometimes, though, it’s out of habit. First, think whether these newsletters benefit you. If you spend more time deleting the newsletter than actually reading it, you need to make a change. Even though you instinctively you will want to unsubscribe, you just can’t do that in today’s world. There are too many people out there with ulterior motives. Instead, take advantage of intelligent email programs that only allow essential newsletters through and delete the rest.